On this week’s episode of HBO’s “Silicon Valley,” our heroes at the fictional startup Pied Piper ran smack into a hard truth about the real Silicon Valley: All the positive buzz in the world can’t make up for a fundamentally flawed product. The episode, titled “Daily Active Users,” finds Pied Piper struggling with the titular metric — a measurement that tech companies use to track the number of loyal users who log in and actually use the service every day. It’s a key gauge of success and growth for companies like Facebook and Snapchat. For Pied Piper, the issue presented by the episode is that its Dropbox-like data storage and compression platform may have been downloaded 500,000 times, but it’s only yielded 16,000 daily active users. That’s not a great rate for a startup that, in the show’s universe, is supposed to be the Next Big Thing. At episode’s end, facing the harsh reality that the company may have to shut down, it’s revealed that Jared, Pied Piper’s overeager business chief, has secretly turned to paying a “click farm” in Bangladesh to use the app and juice up the numbers. First off: Click farms are very real, and they have expanded their purview from clicking on ads to clicking in apps. Secondly: Click farms are just one way that startups goose their numbers to look better to employees and investors. A recent report from Vanity Fair’s Nick Bilton reveals that as recently as October 2015, Twitter had been turning to sly trickery to improve its profile with Wall Street. Before Jared comes up with his secret click farm scheme, Hendricks is prepared to shut down the startup: If Pied Piper is unusably complex, they simply don’t have the time to spend or the cash to burn to fix it. Without showing substantial user growth, they can’t get more investment capital. It means that Pied Piper could go from Silicon Valley golden child to flameout case almost overnight. It’s way more feasible than it sounds. The real Silicon Valley is littered with examples of just this kind of problem: Social networking app Path, for example, launched in 2010 with a bang, hitting 1.5 million downloads in a measly 2.5 weeks. But it took until 2012 for Path to hit 500,000 daily active users. When Path sold to Daum Kakao in 2015, we found out it had 10 million monthly active users. The launch buzz faded quickly and people moved on to the next big thing. Path had raised $77 million in its lifetime. And not long before the sale, it tried to pivot, releasing a selfie app to expand the Path universe. But whatever Path was building, users simply weren’t sticking around at the rate it needed to in order to justify its continued existence as a venture-funded company. 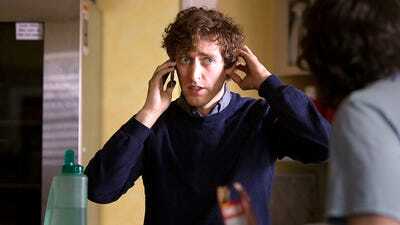 Back on HBO, Pied Piper CEO Richard Hendricks realises the problem is his app’s complexity and difficulty to use. See, he only beta-tested Pied Piper with engineers, meaning that they never designed it for an Average Joe. Hendricks comes up with all kinds of cutesy explanations for how it works, and Pied Piper goes on a charm offensive at trade shows and Bloomberg TV to try to sell it to consumers. Nothing works, and the company’s daily active users stay stalled. It’s reminiscent of a story going around recently of a startup founder who turned down a $500,000 investment and shut down his startup, citing an unfixable problem with the company’s business model. If something is really, fundamentally wrong, it’s not an easy fix, even with deep pockets. And as venture capital money becomes harder to find for early-stage companies, you can expect to see more cases like Pied Piper in the real tech market — investors increasingly want to see actual growth, and it’s going to shake out any startup that can’t show it.